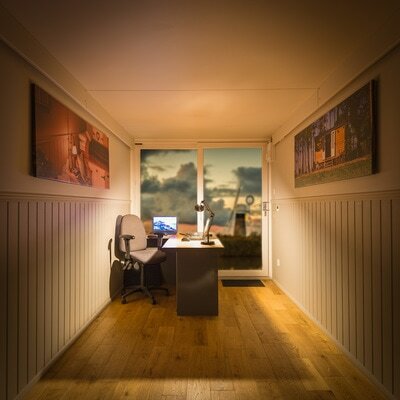 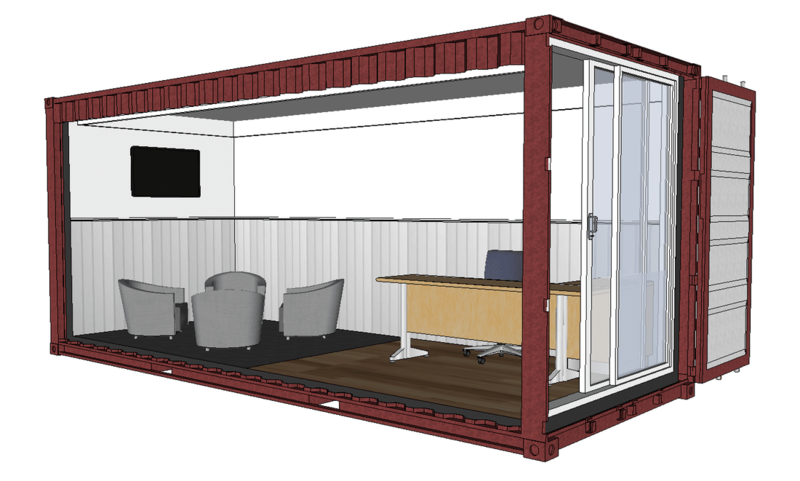 Our shipping container office looks right at home in any industrial setting until you open the container doors and see the contrast of the clean, contemporary interior. 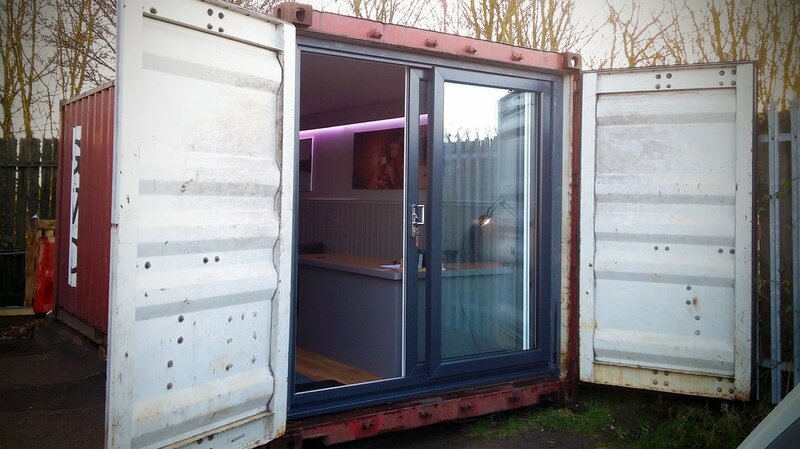 A pair of glass sliding doors creates a more welcoming front allowing the building to serve as a reception or meeting room on site. When not in use, the building appears to be a regular secure shipping container! 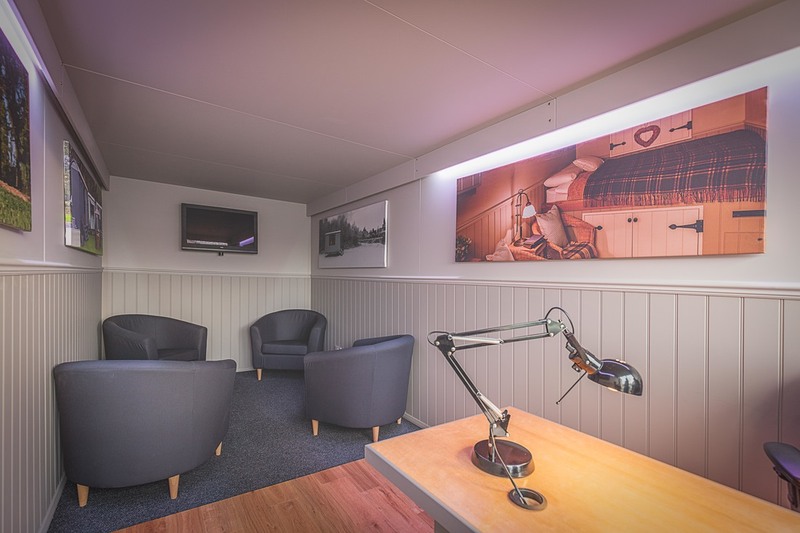 The fully insulated interior features an engineered oak floor and carpeting lounge area with underfloor heating and pelmet lighting. A large LCD screen at the end is wired into the desk, allowing it to connect to a computer display for presentations, and the whole hut is compatible with a range of AV and wifi options, ranging from a simple Cat5 ethernet connection, a signal booster, or even a built in wireless access point to allow multiple devises to connect inside the container. 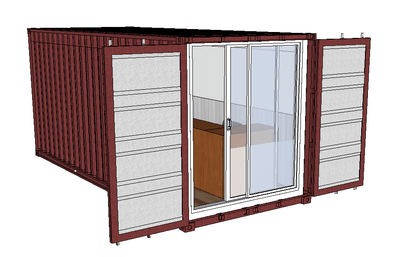 ​This is an ideal satellite or temporary office and is robust enough to be loaded and transported with ease just like a regular shipping container. It can also be fitted out to suit your businesses needs.